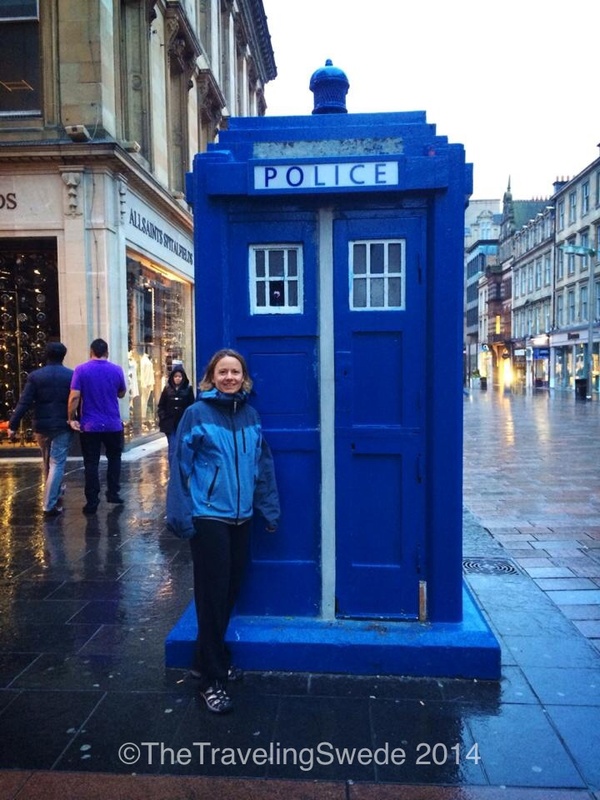 A great friend of mine is doing her graduate program in Glasgow, Scotland. Naturally I wanted to go see her since I was close by visiting Sweden. A bus ride, two airplane rides and 9 hours later I was there. 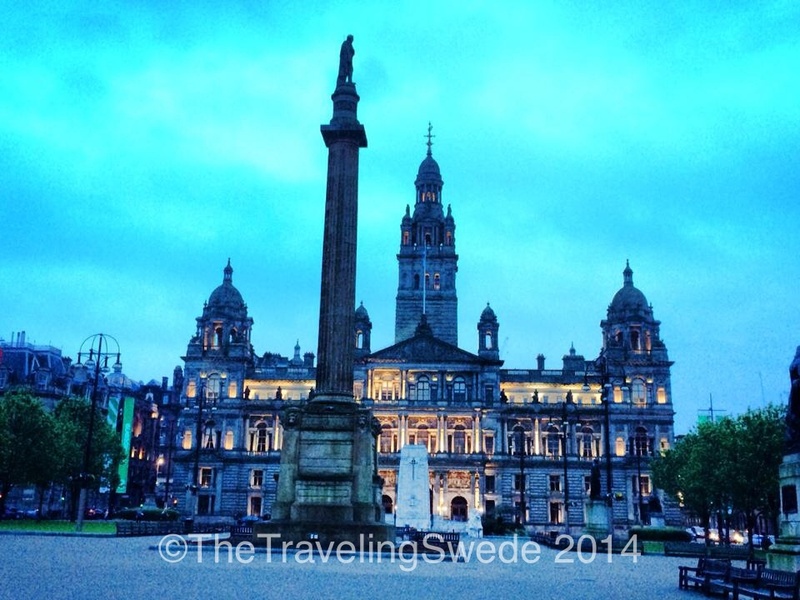 It’s fairly inexpensive to travel by air across Europe especially if you look for deals. 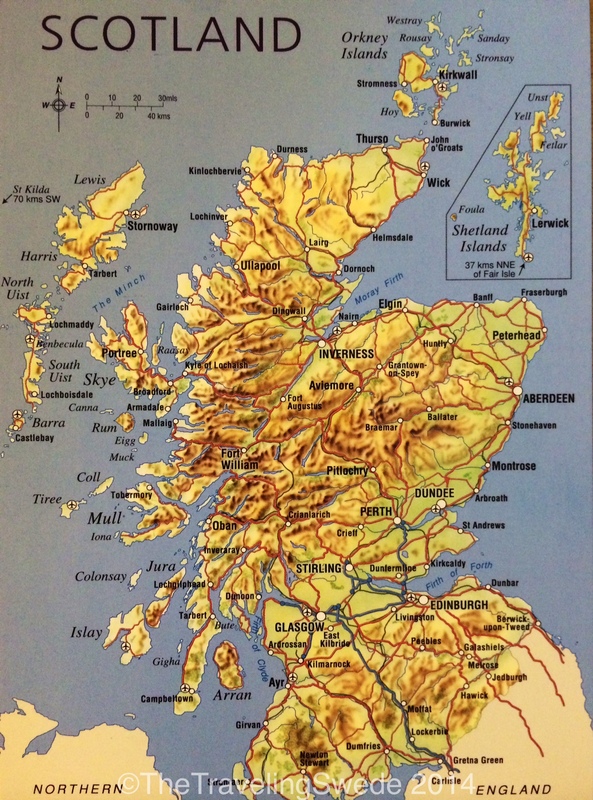 However, Scotland in itself is not inexpensive so plan accordingly. A bus ride easily cost 4 £, a cab ride for ten minutes 20 £, dinner 6-10 £, a Starbucks latte 4 £ and a train ride from Glasgow to Edinburgh during low traffic times 13 £. At the writing of this 1 £ is approximately 1.70 USD. 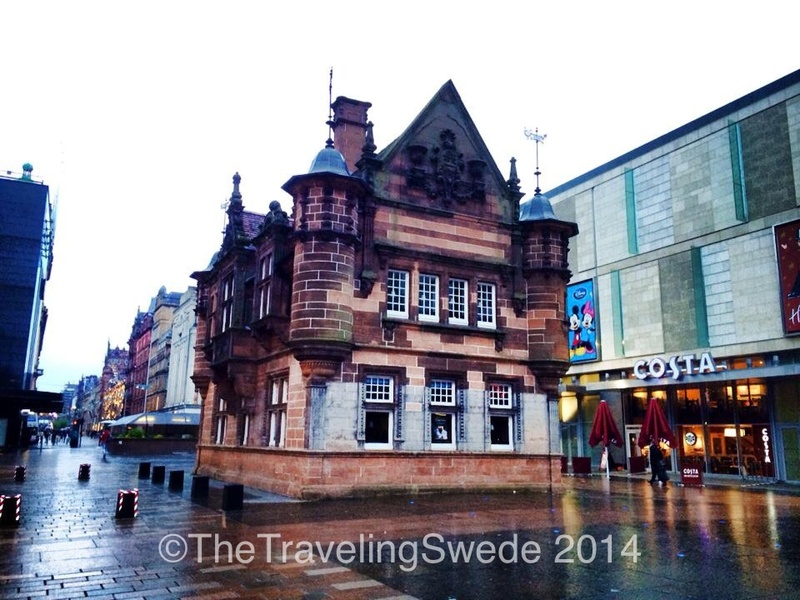 It was my first time visiting Scotland so I wasn’t sure what to expect going to a big city like Glasgow. My vision of green rolling hills, cobble lined streets and drunk, yet cheerful Scots in wool sweaters didn’t fully match reality. 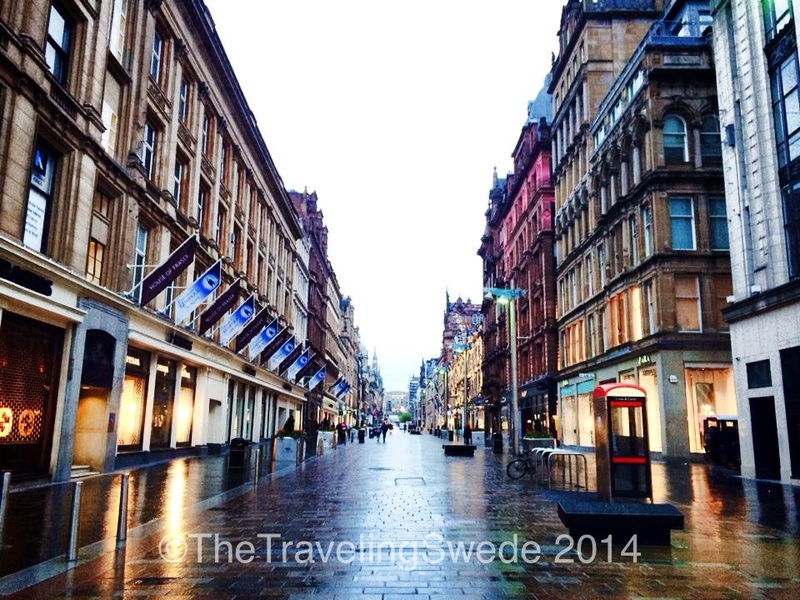 Glasgow is not just a big city, it’s a BIG city. The green rolling hills are far outside the city, there are a few cute cobble lined streets (but they truly are cute!) and well, the Scots are drunk but they are not the cute, chubby, cheerful Scots that I envisioned but rather reserved, but friendly in my opinion. But it didn’t take long to start seeing the treasures through the busyness. I love to go and explore no matter where I am in the world. Be prepared on carrying a lot of coins. I put a 20 £ paper bill in the machine to get a bus ticket and felt like I won jackpot. 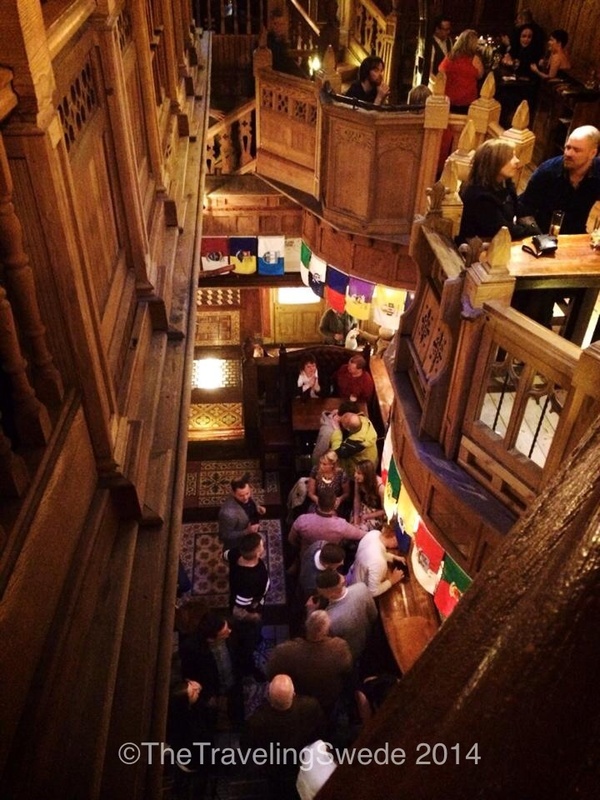 No trip to Vegas needed, just go to Scotland. If you have ever been to Europe you recognize this. 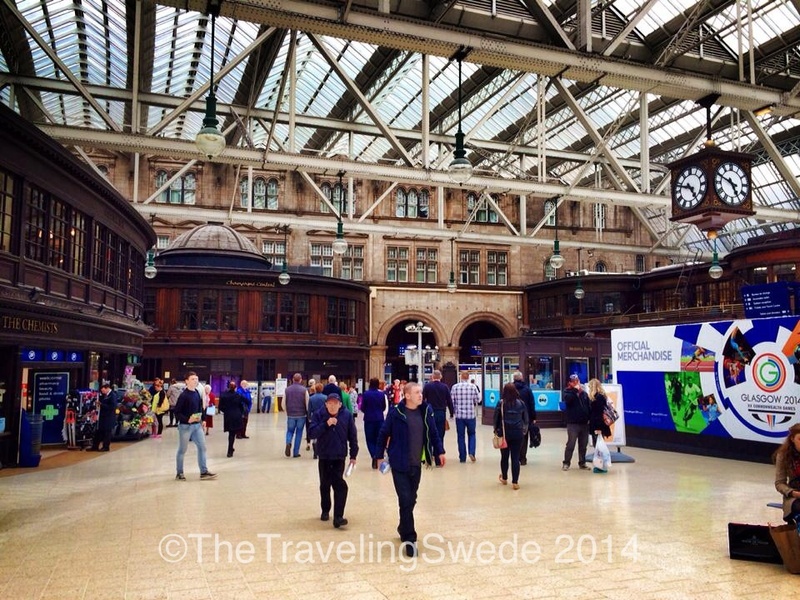 A classic European train station with its grandiose look. 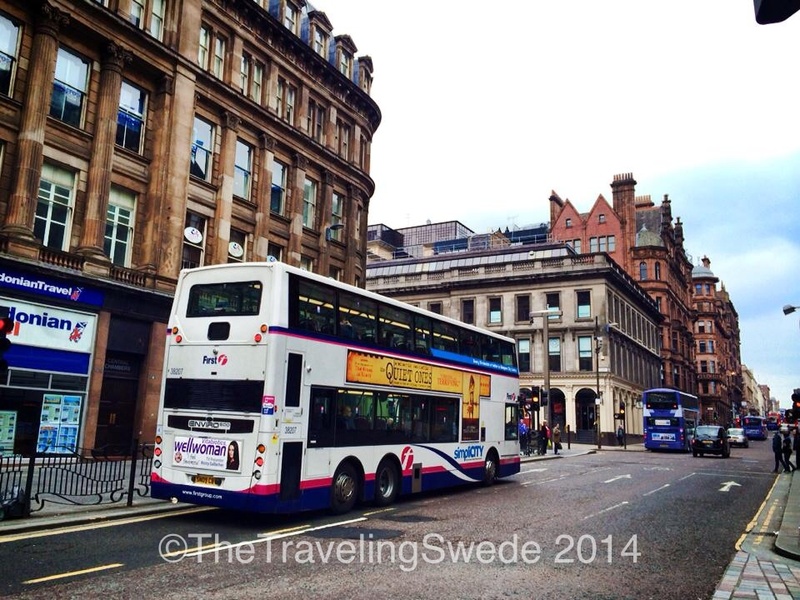 So easy to get around with bus and train in Europe. 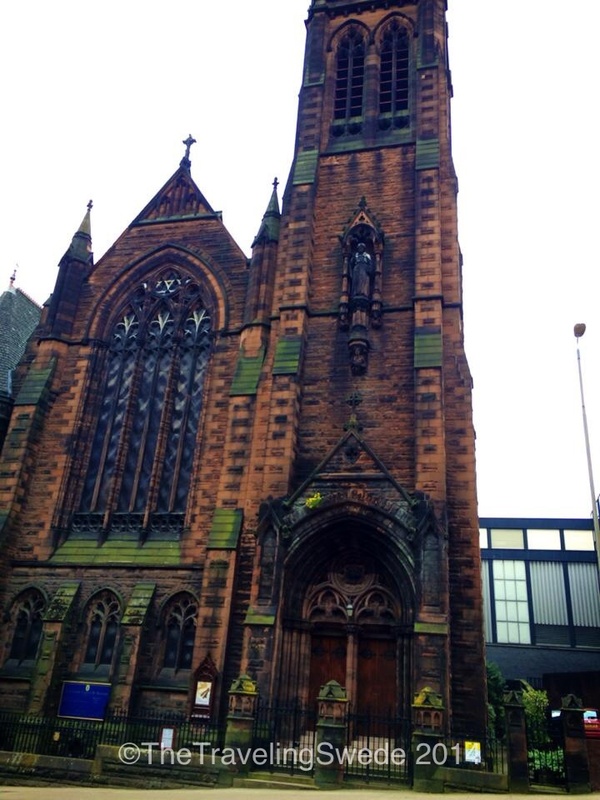 I’m in Glasgow! If you have never ridden in a double-decker bus it’s a lot of fun. Just make sure you sit at the top. 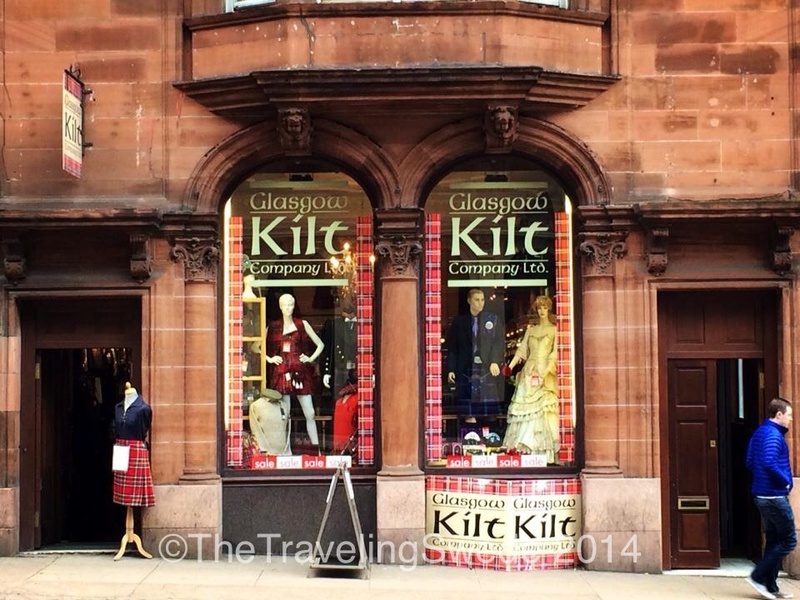 And of course, what would Scotland be without kilt shops? I have yet to find out if men truly wear anything underneath those things…hmm, that’s a project for next trip! If you are into music this is the place. A hole in the wall where many famous musicians started. 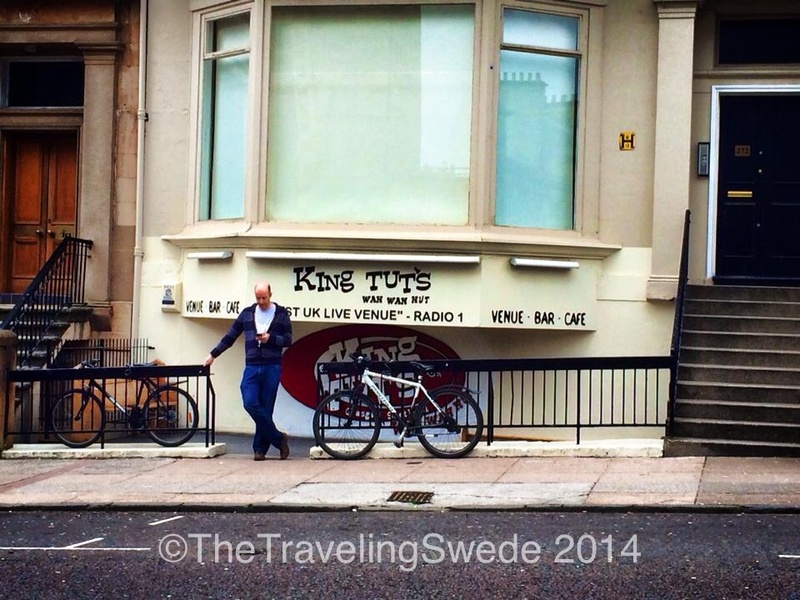 King Tut’s is known for bringing in both small and big names. St. Vincent church that was not open so we could go inside. It’s amazing that these old churches still stand despite all the rain and moss. Part of me just wanted to go to town with a power washer. That would be quite the project. 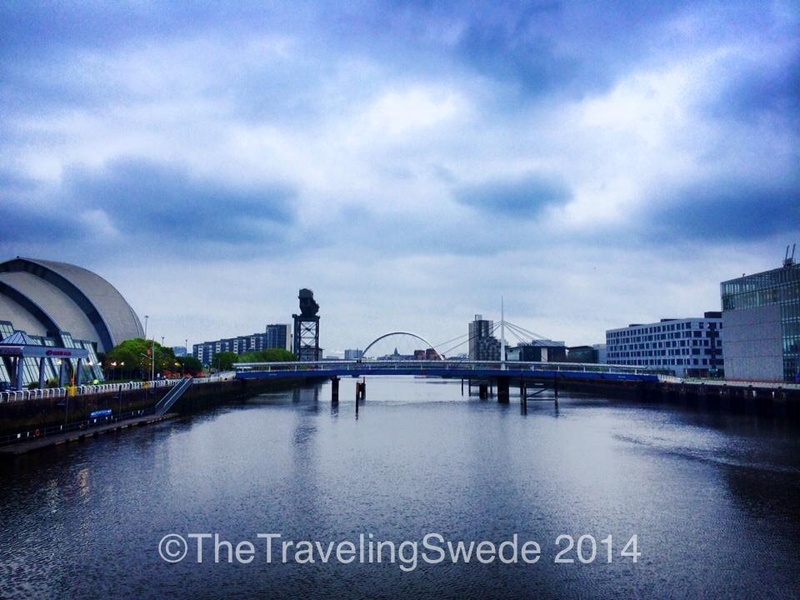 River Clyde – the way Glasgow connects to the ocean. The Armadillo (Auditorium) on the left. P.S. 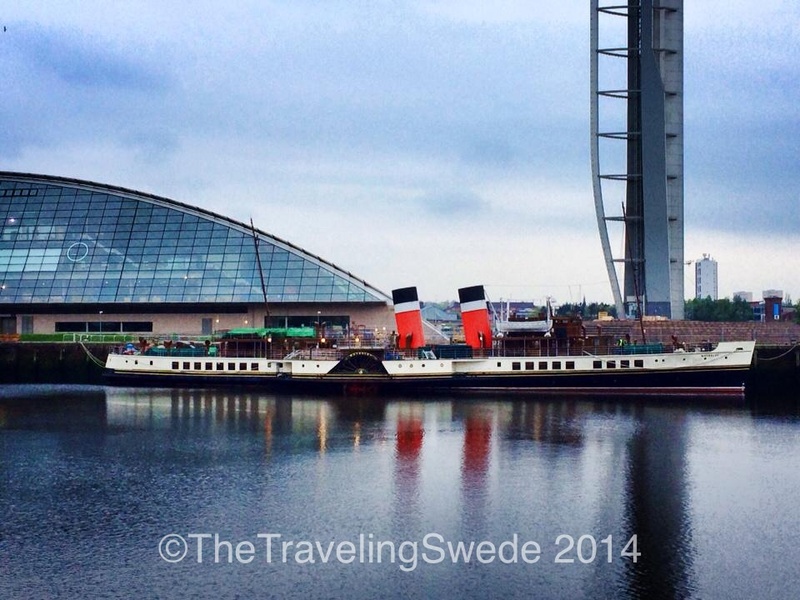 Waverley, the last passenger-carrying paddle steamer in the world. She has been restored and you can now enjoy a day out on the sea by booking one of the many day trips the excursion company offers. 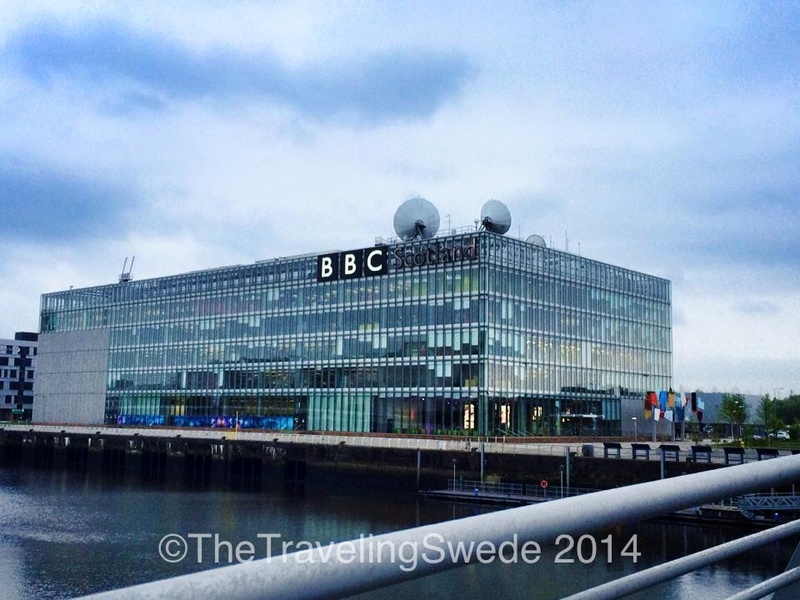 I know, just a building holding BBC Scotland. But I am in the land of Tardis and Dr. Who after all. 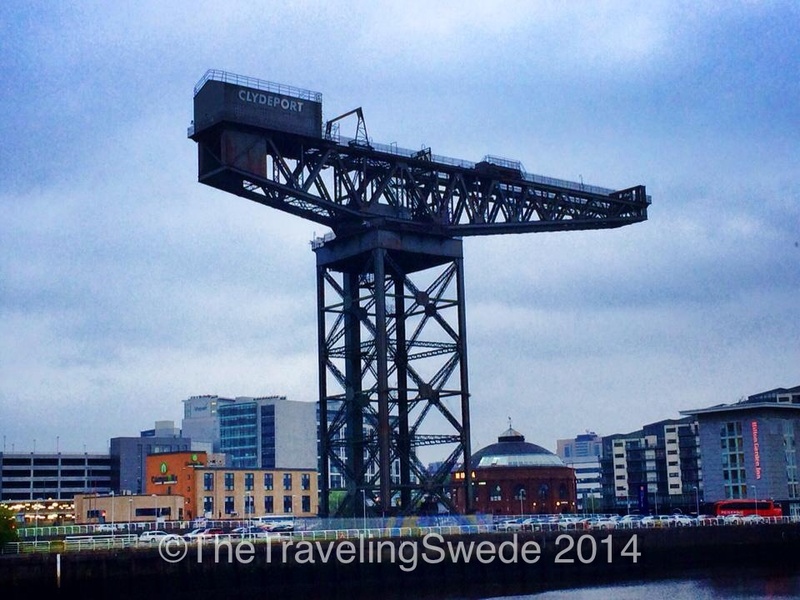 The last standing crane on the Clyde in Glasgow called Finnieston. It was kept as a symbol of the city’s engineering heritage. Some call it ugly. 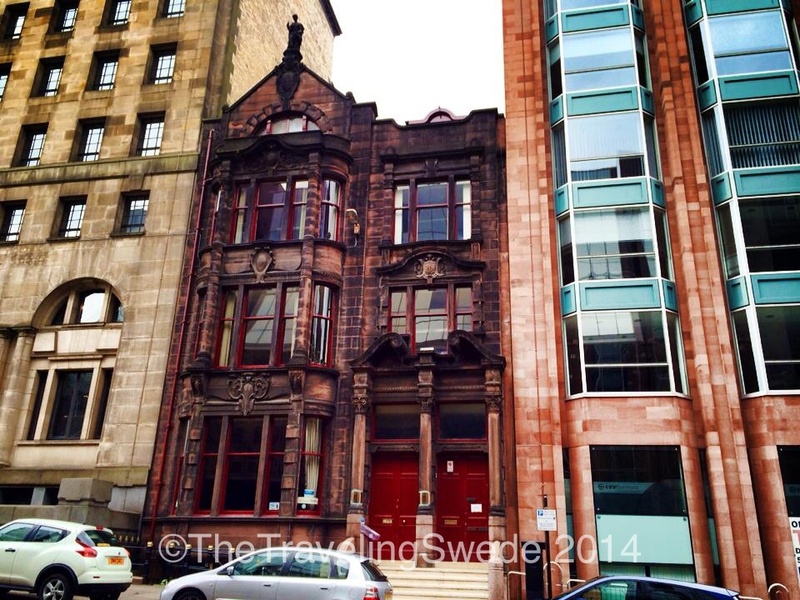 I call it a cool piece of history that’s part of Glasgow. 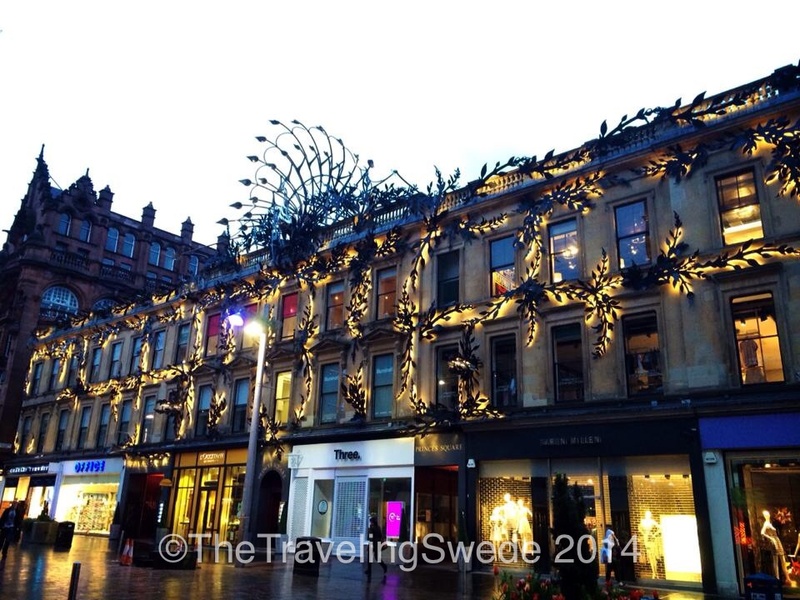 Time to go shopping downtown Glasgow. Not really since I hate shopping but this is where you would go if you enjoy that sort of thing. During the day this street is packed with people but we strolled through the city after hours making it quite enjoyable. Kind of hard to see but it’s actually art on the siding in form of a peacock. Pretty cool. Remember these? 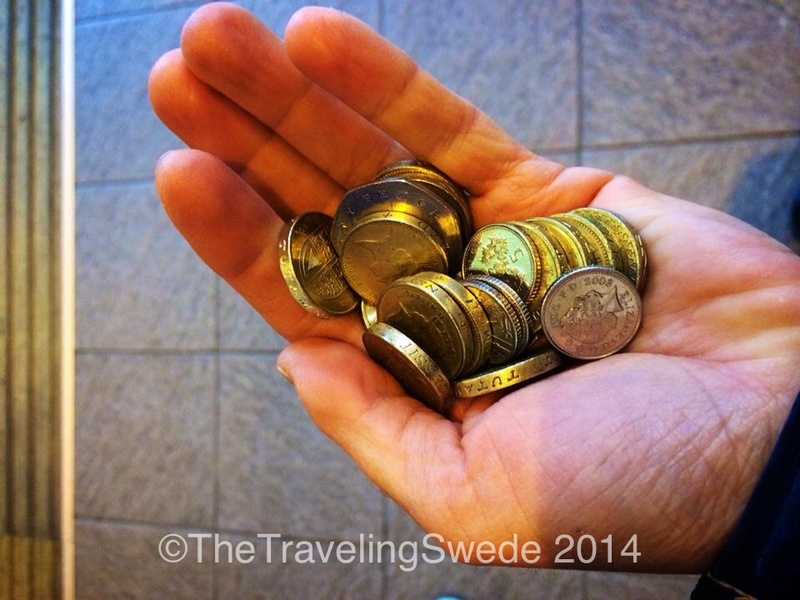 They are still in use here and you can even use coins. And the famous blue police box of course. I was hoping Dr. Who would show up but he didn’t. 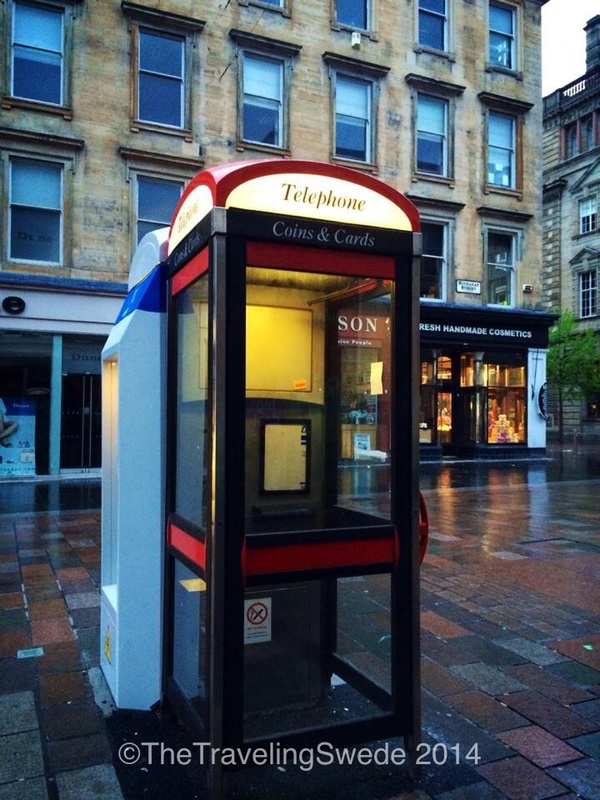 You know you are in an European capital or larger city when you see on of these. These statues are on George Square. HM Queen Victoria’s statue is in the background. Just a block from there is another horse statue, famous for locals putting a traffic cone on the persons head soon after the police removes it. Sadly the evening I was there, no cone. George Square. 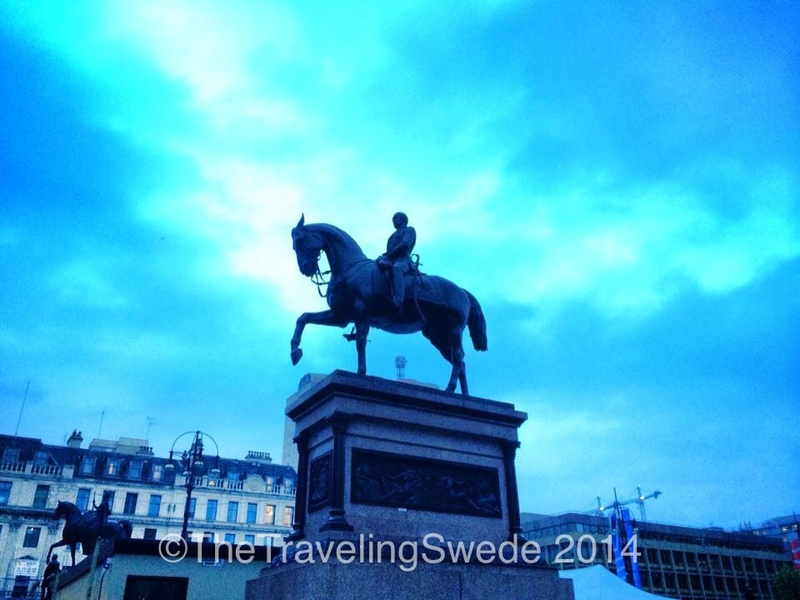 A very prominent square filled with historical landmarks, statues and more. The large building is the city chamber, finished 1888. 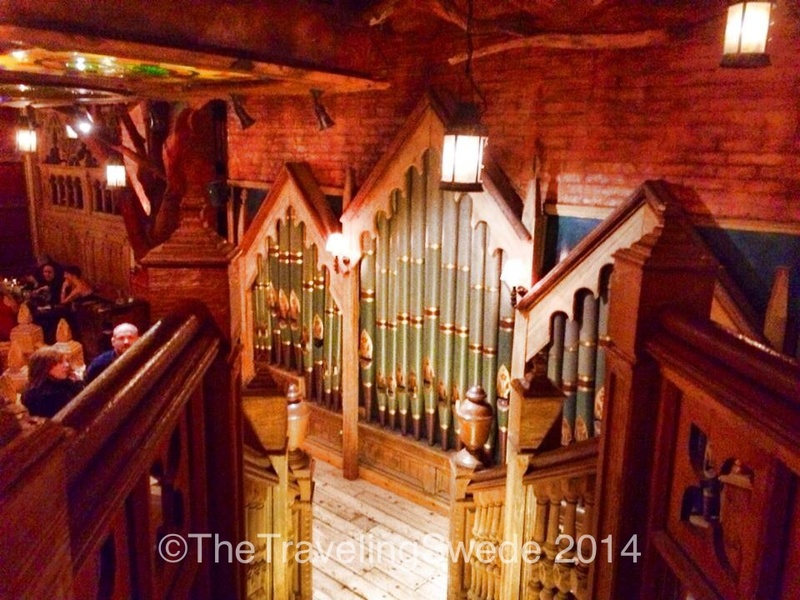 Sometimes you just need to party and play a little pipe organ at a pub.